The 2016 US Presidential election is close – plenty of politics are swirling related to the solar power and renewable energy industries. Each of the candidates running for President have spoken specifically on solar power, with Clinton and Sanders expressly supporting significant growth. Sungevity has put together a fun tool that lets you tweet directly to your candidate the system size that Sungevity thinks would best fit on their residence. 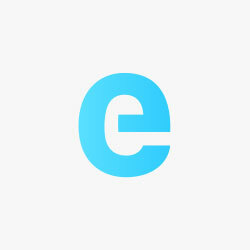 Raising awareness – one tweet at a time! None of the candidates have solar power on their residences. In December of 2015 – SolarCity did an analysis of these same homes to determine who’d benefit the most from going solar. Interestingly, solar power – of all energy sources – polls the highest among Americans as the energy source that needs more emphasis. Candidates Clinton, Sanders and Johnson reference their positions on Climate Change and renewable energy directly on their website – Trump notes his opinions on global warming via Twitter. Sungevity, Inc., the solar energy company credited with getting solar panels put on the White House in 2014 with its “Globama Campaign,” is at it again – this time challenging presidential candidates to step up to the clean energy challenge and be the first candidate to put solar panels on their home. Sungevity’s “Solar Throwdown” campaign hopes to shine a light on the economic and environmental benefits of going solar while urging each candidate to set a leadership example when it comes to clean energy. Sungevity used its proprietary remote solar design technology to develop a solar quote for each candidate’s home. The quote is entirely customized to match the solar potential of each candidate’s rooftop. People can tweet directly to the candidates and urge them to go solar at blog.sungevity.com/solar-throwdown. Throughout the 2016 election season, candidates have preached about fiscal responsibility, economic opportunity and job creation – all benefits that solar energy can deliver. 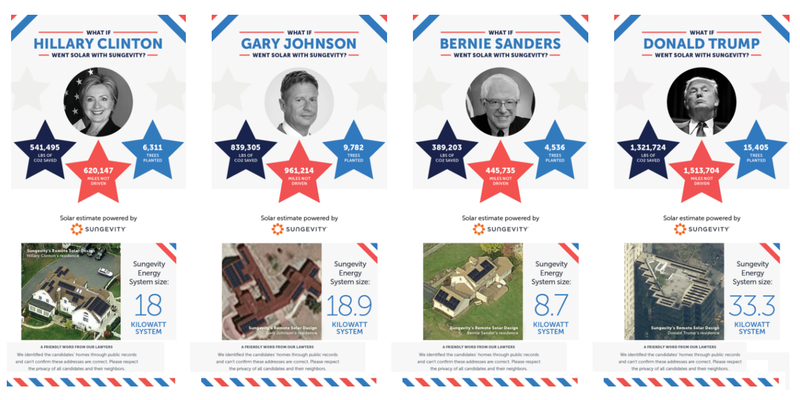 Sungevity is challenging the major candidates – Hillary Clinton, Gary Johnson, Bernie Sanders, and Donald Trump – to be leaders in the “Rooftop Revolution” by going solar. America has installed over one million solar systems, catapulting the industry into the national spotlight. In the U.S. alone, the solar industry employs more than 200,000 U.S. workers. GTM Research and the Solar Energy Industries Association project another record year for solar in 2016 with installations reaching 16 GWdc, a 120% increase over 2015. “The reality of solar is catching on and very soon millions more U.S. homes will have a solar system. It’s better for the pocketbook, for the planet, for the economy, for security – it’s humanity’s next big step,” said Danny Kennedy, Sungevity’s co-founder, environmental champion and author of Rooftop Revolution, How Solar Power Can Save Our Economy – and Our Planet – from Dirty Energy. In 2010, Sungevity’s Danny Kennedy attended an Earth Day reception at the Rose Garden where he asked President Obama to put a solar system on the White House. Obama nodded firmly and responded, “Good idea, let’s do that,” but when no action was taken, Kennedy and Sungevity (along with Bill McKibben’s 350.org) launched the “Globama Campaign.” The petition drive garnered thousands of signatures and has been credited with convincing the Obama Administration to reinstate a solar system on the White House in 2014. President Carter had put solar panels on the White House in 1979 to fuel a portion of its electrical needs, but the Reagan administration had them removed. Who will be the next president? And will she or he prove to be the best and brightest when it comes to clean, renewable energy? This presidential election may be partisan, but the benefits of solar are red, white and blue. You can vote for clean energy by adding your own rooftop to the solar revolution. Get a customized solar quote at http://www.sungevity.com.